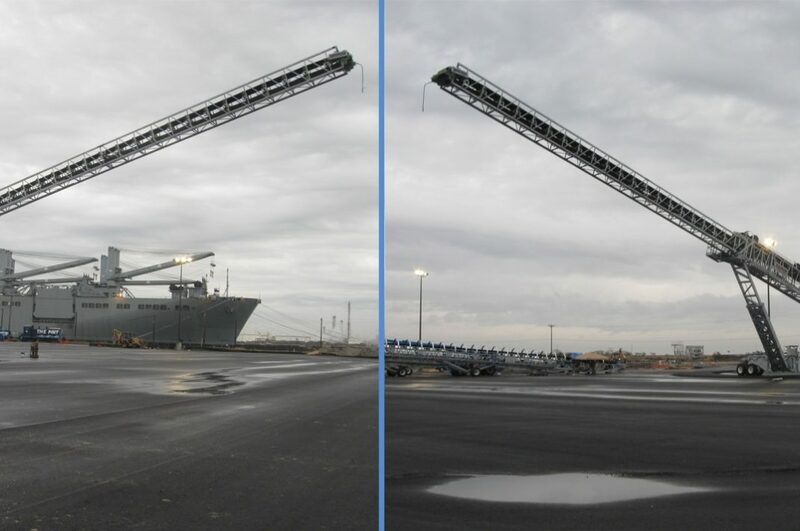 Founded by Todd Hall and Richard Martin, Global Fabrication is a leader in the grain handling industry. 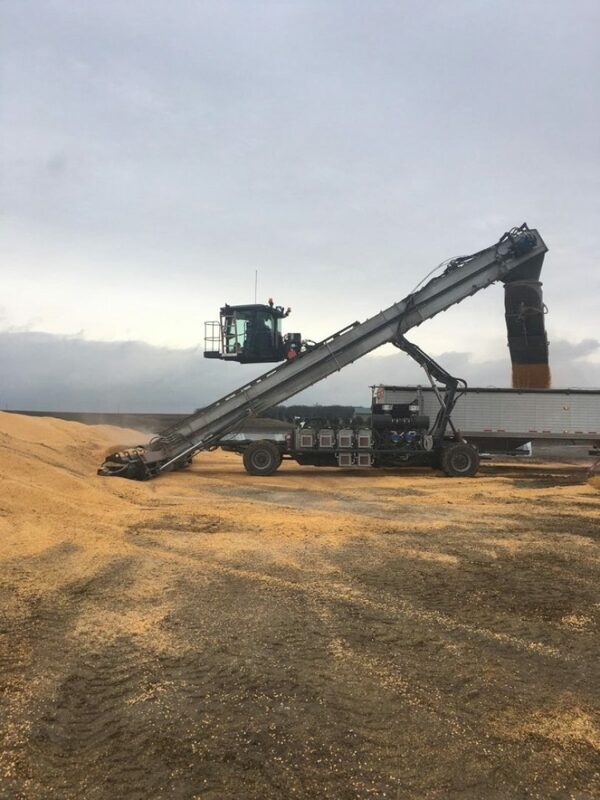 Located in north central Iowa just 10 miles east of I-35, they have more than 30 years of experience in the industry, specializing in temporary storage solutions. 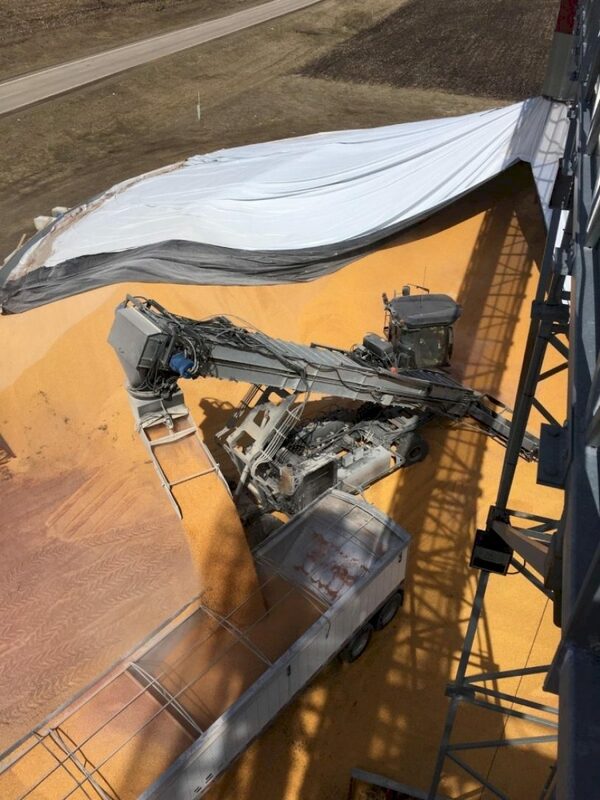 Their newly released 30,000 BPH (bushel per hour) transport conveyor, which uses 60,000 pounds of galvanized steel, is the longest in the industry at 130 feet, and also the highest capacity mobile conveyor on the market. These units are shipped all over North America and are required to operate in some of the most demanding environmental conditions. Chris Jacob, Engineering Manager for Global Fabrication stated, Our customers come to us for reliable products and expect the same out of the finish on our products. When you are trying to gain market share in a very competitive industry, it is critical your products not only look good coming from the factory, but stay looking good for years to come. With experience manufacturing these products for more than 30 years, we have found paint will fail in the conditions where these machines are required to work. For these reasons, we chose to hot-dip galvanize the main body of these units as a cost-effective insurance policy against corrosion. In considering the types of finishes on the market, nothing can beat the durability of hot-dip galvanizing. 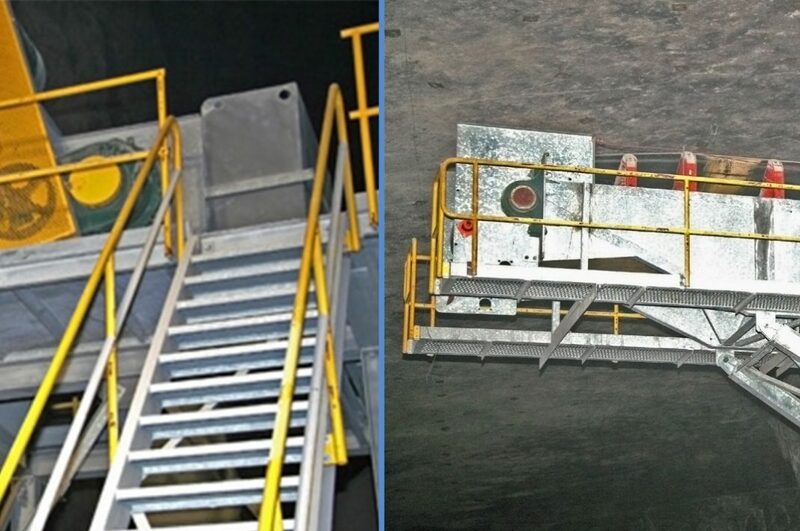 This is currently the only hot-dip galvanized conveyor on the market." Production Manager Brent Blanchard, Co-owner and primary designer Todd Hall, along with Chris Jacob and the design team, worked closely with their galvanizer on the fabrication details to ensure the galvanized components for the equipment would be efficient and trouble-free for the galvanizing process. 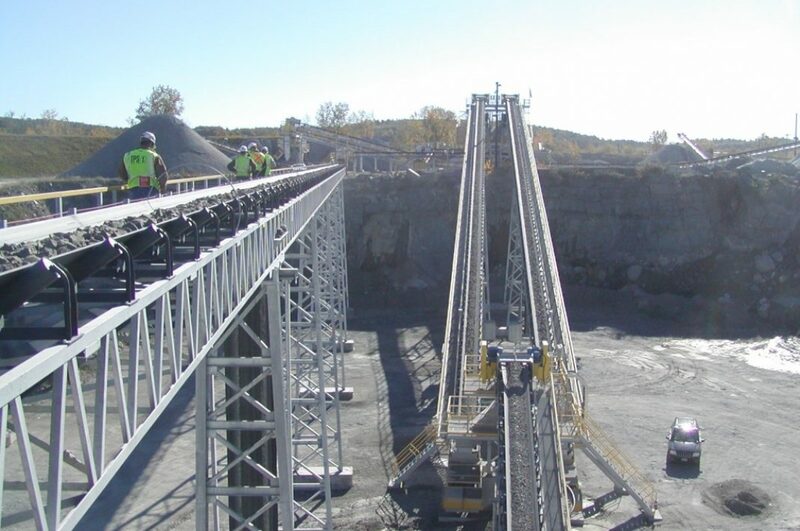 View of conveyor in place getting ready for use. 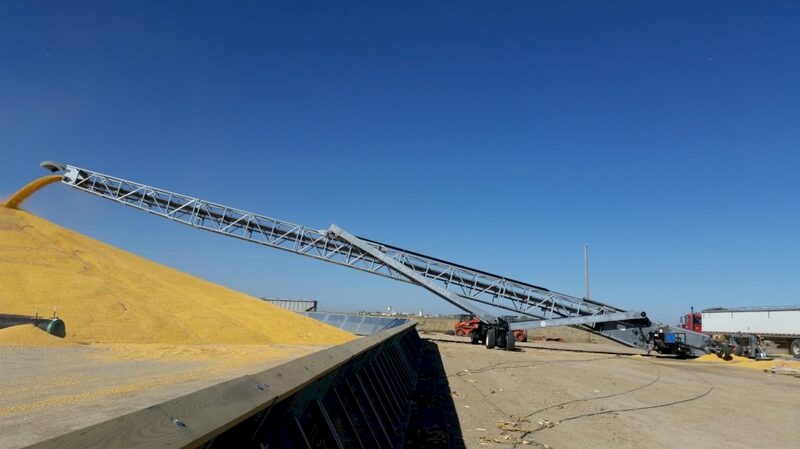 View of conveyor in use. 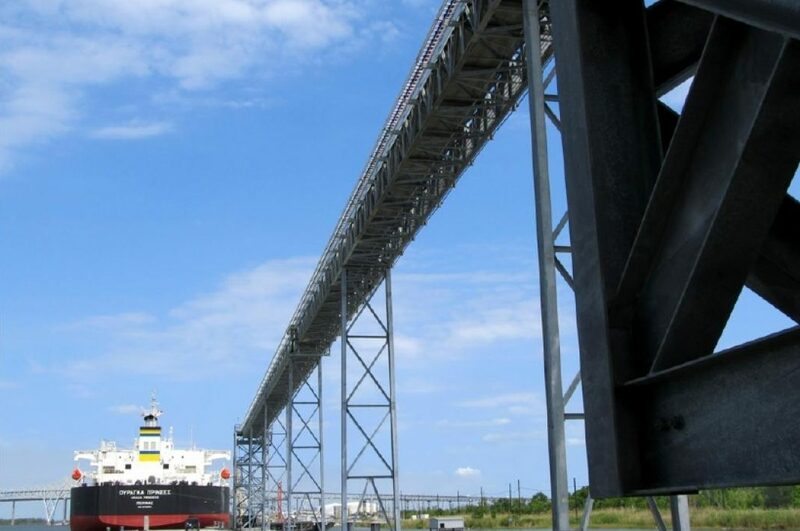 All components of transport conveyor and drive over ramps are galvanized. Unit weighs 72,000lbs of which 60,000lbs is galvanized.